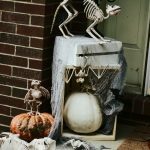 This post is sponsored by Cost Plus World Market, all thoughts, words, and opinions are my own. 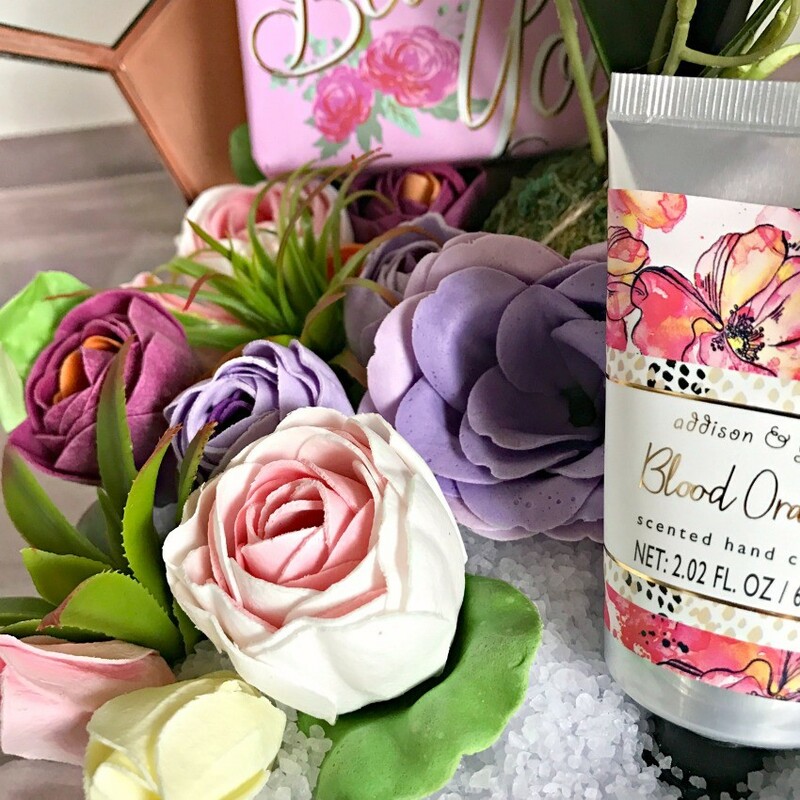 Mother’s Day is right around the corner and if you’re like me, you have a very special mom in your life that you want to do something extra special for. 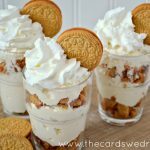 There are tons of great ideas out there, but how about something she’ll love that is specially made JUST BY YOU?! 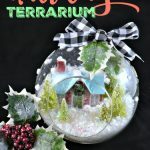 Today I want to show you how I made this Mother’s Day Bathroom Terrarium all with great finds at Cost Plus World Market! I had a field day shopping for all this stuff at the Polaris Parkway World Market in Columbus (find your nearest store here). Once you’ve collected all your supplies, you can get started!! 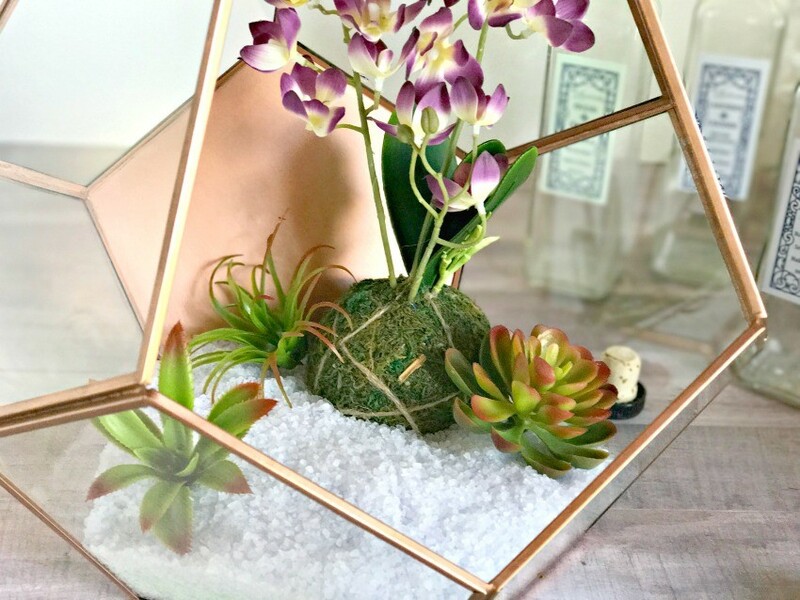 Start with thoroughly cleaning out your terrarium so it’s nice and sparkling clean. 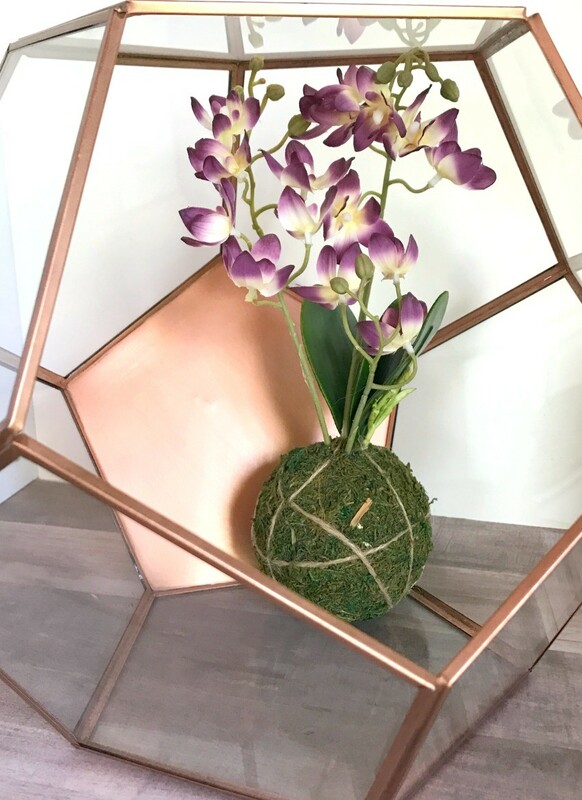 Then place your faux orchid in the position that you want it in. I chose the orchid because I wanted to add some height to my design. Next up, add your bath salts. I used three bottles of them and layered purple, teal, purple so that it had some fun layers when you looked at it from the side. Leave a small space up front to add your lotion and in the back I added a pretty wrapped bar of soap. 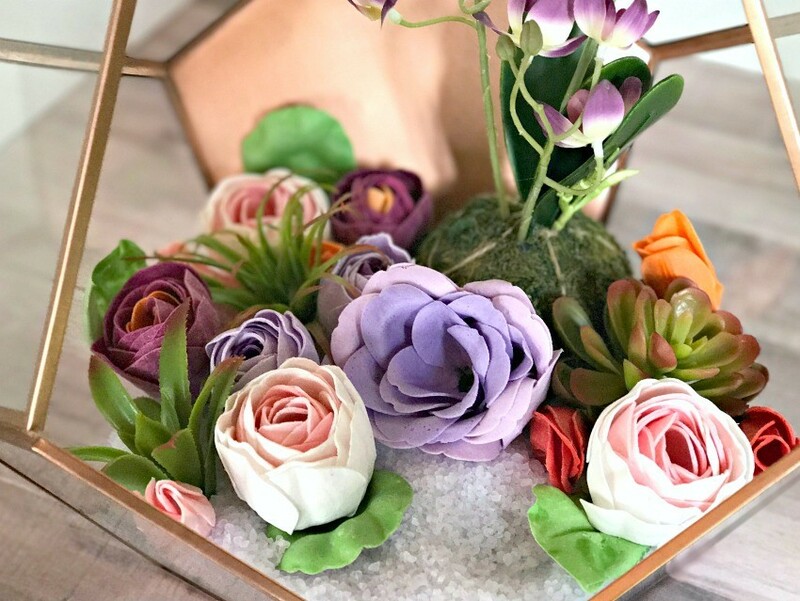 You can add as many goodies as you’d like to your terrarium and it can be the place where mom goes to grab a handful of sea salts and a flower for her next relaxing bath! Then when she gets out, she can enjoy some pretty smelling lotion. 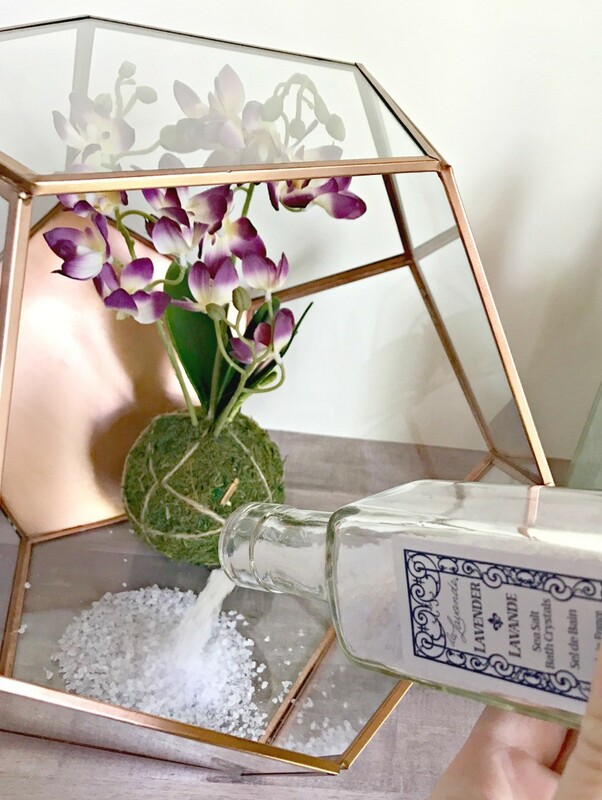 And the salts will make the room smell wonderful even just used as decoration! 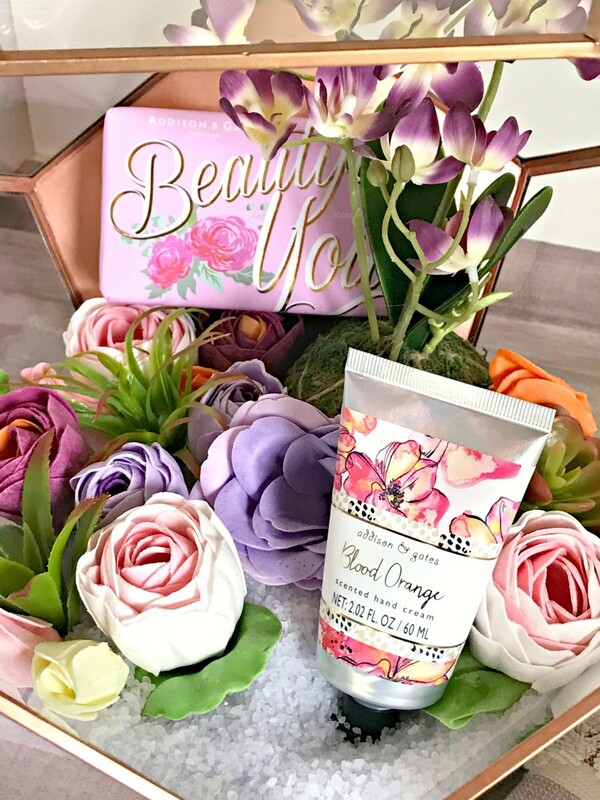 It’s such an easy Mother’s Day gift idea and it is something personal and tailored to your mom, her favorite colors, smells, and more! 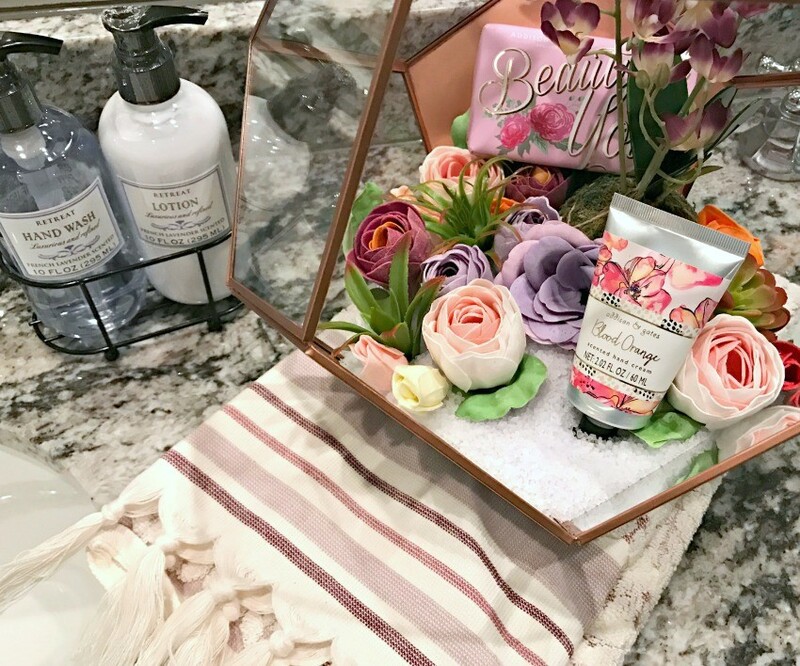 Pair it with a pretty hand towel and a loofa and you have the perfect Mother’s Day gift! 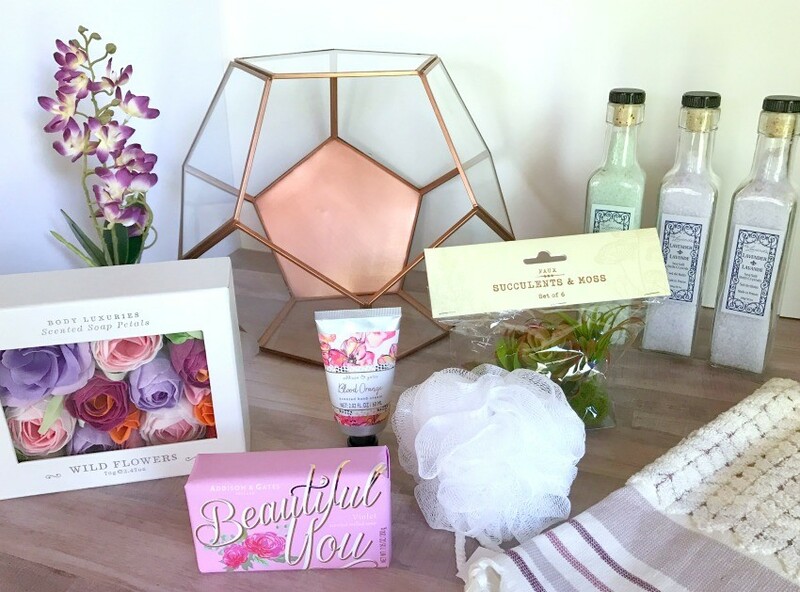 What do you have planned for mom this Mother’s Day? Or if you’re a mom, what are you hoping to do with your family?? Are you having a Mother’s Day Brunch? Share your plans in the comments below! 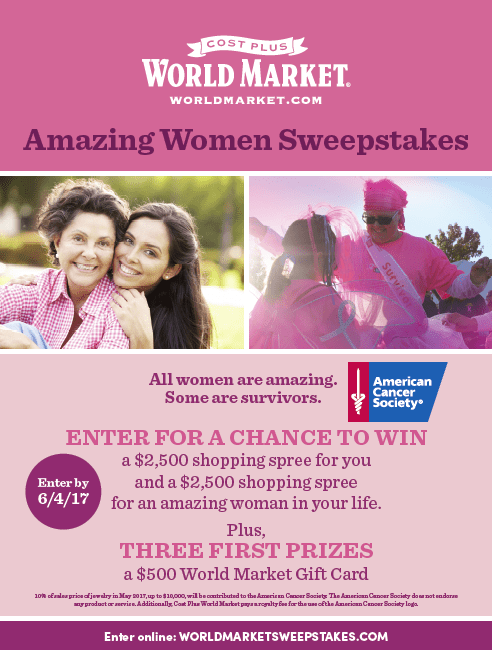 Have you entered the World Market Amazing Women Sweepstakes yet? Enter for a chance to win a $2,500 World Market shopping spree for you and a $2,500 shopping spree for an amazing woman in your life. Enter by 6/4/17. Also! In May, buy your favorite jewelry and 10% of the sales price, up to $10,000, will be contributed to the American Cancer Society. 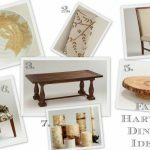 Fall Harvest Dining Ideas with World Market + $200 World Market GIVEAWAY!